A typical fishing day illustrating the Claude Buckle mastery of the painting of water. 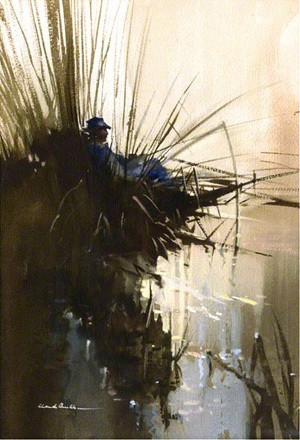 Fishing was a hobby that the artist liked to indulge in. The treatment of the water using the water colour medium is of a very high standard and beyond the reach of most artists. Created in 1965.